Our series on London etymology continues with a look at the stations of the Jubilee line. 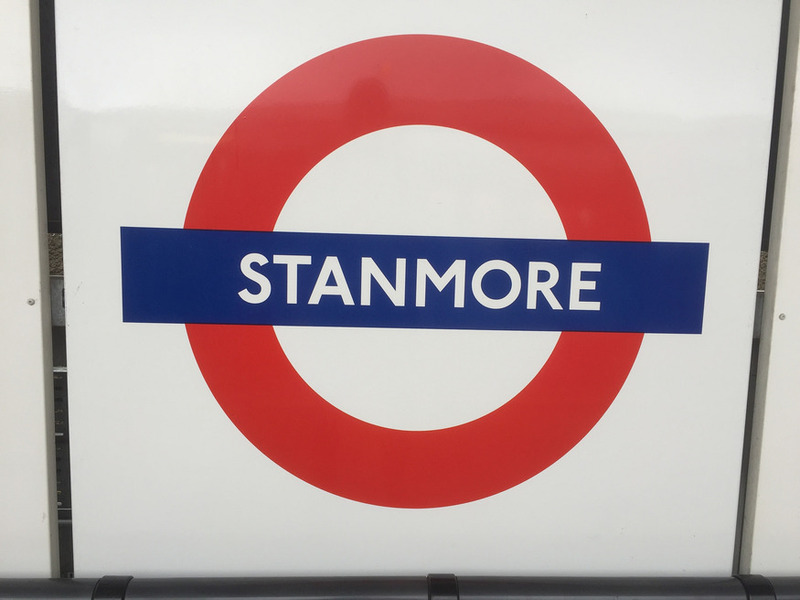 Find out how your local station got its name. See also Central, Northern, Victoria. The outermost station serves a community that dates back to Anglo-Saxon times, though you'd scarcely guess it by strolling around today. The name means stony pond, probably a reference to the gravel outcrops found in the area. In medieval times, much of the land in these parts was held by the canons of St Bartholomew's Priory, attached to the hospital that still does admirable service in Smithfield today. Henry VIII swiped any land belonging to monkish types, and the canons' land passed into private hands. A short-lived mansion called Cannons [sic] was built on the site, whose grounds now form much of the green space called Canons Park. The 'manor of the king' is the unsurprising derivation of this name. Who that king was is lost to history. The land was owned privately at the time of Domesday Book in 1086. We're going to stick our necks out and say it was clearly King Arthur, who undoubtedly gained his sword from the Lady of the Lake in Brent Reservoir. Now a modern residential and creative district beside the famous stadium, Wembley Park has long been a major visitor attraction. 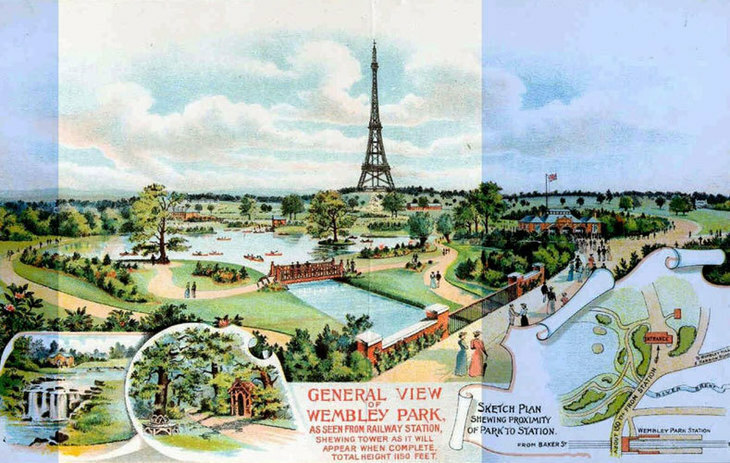 The image above shows how it looked in 1894 — although the Eiffel Tower-like structure was only partially built (and would eventually be demolished). Wembley's name is Anglo Saxon and means the open space (lea) belonging to someone called Wemba. When football fans chant Wemba-lea, Wemba-lea, Wemba-lea, they are bang on the nail. The lady who does the 'this train terminates at...' announcements on the Jube really seems to have something against Neasden. Listen to the inflection in her voice. It's appropriate that she should turn her nose up at this district, for Neasden is thought to refer to the nose-shaped (Neas-) hill (-den) on which the area is built. The Dollis Brook, a tributary of the River Brent, flows through this part of north London. One might naturally assume Dollis Hill gets its name from that watercourse, but it ain't necessarily so. Rather, the area seems to have been called after a family of landowners called Dalley, whereas the brook's name comes from the Middle English word 'dole' meaning common land. The spellings converged over time, as people assumed a connection. 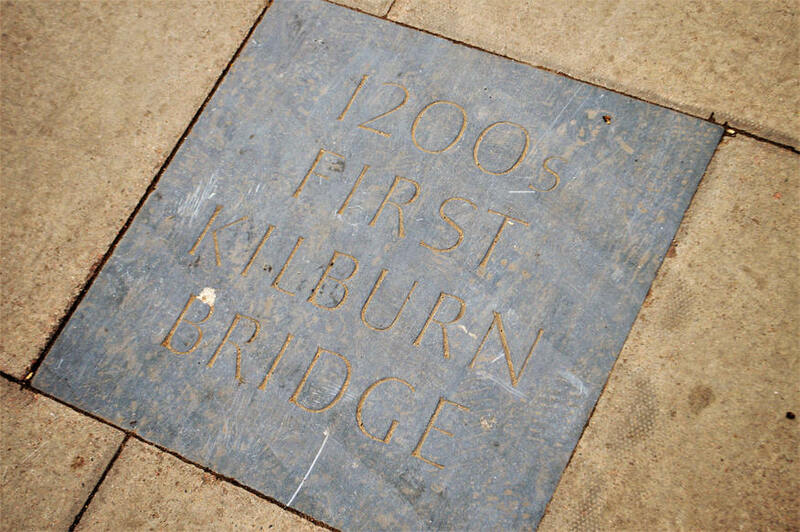 A pavement plaque marks the site of a bridge over the kil-bourne. Where 'den' is suggestive of hills, 'burn' and its variants usually denote a river (Holborn, Ravensbourne, Tyburn). Here, it is a reference to the River Westbourne, which flows beneath the streets of Kilburn through some rather obvious valleys. The name is first recorded in 1134 as Cuneburna, although many variations are known. Kilburn grew up around a priory where the old Roman road crossed the Westbourne. The first part of the name indicates a relationship with either a king or cattle. Local estate agents probably favour the former. Hampstead simply comes from the Anglo-Saxon term for homestead. Berkhamsted and Wheathampstead are similar examples. Don't ever imagine you can get off the tube at West Hampstead and gamely stroll over to Hampstead Heath. You face more than a mile's walk, practically all of it uphill. Finchley Road is the road that leads to Finchley. It was the motorway of its day, speeding coaches north along a well-surfaced turnpike that avoided the hills to the east. Finchley itself hark back to a clearing or open space (ley) populated by finches. One of six stations named after pubs, Swiss Cottage refers to the pastiche chalet that still serves drinks from the traffic island. The pub is housed in a modern-ish building, but an inn has stood on the site since 1804. You know that old gatehouse in Clerkenwell — the one housing the Museum of the Order of St John? It has a direct connection to this well-to-do north London neighbourhood. The monastic order dedicated to St John was based in Clerkenwell, but owned a large tract of land in the once wooded area beside this tube station. Hence, St John's Wood. Sherlock's home is named after its builder, William Baker, who laid out the street in the 18th century. We've always had the ambition to open a patisserie here, called Baker's Treat of Baker Street. Named after Thomas Bond (ancestor of the fictional James) who owned the land on which the street was laid out in the 17th century. Curiously, Bond Street itself is fictional — only New Bond Street and Old Bond Street now exist. It really is very green. Green Park isn't entirely green. In spring, banks of daffodils can be enjoyed throughout its 40 acres. Unlike other Royal Parks, however, it lacks formal flower beds. An old myth attributes this dearth to Catherine, wife of Charles II. She supposedly spotted the merry monarch plucking flowers in the park for his mistress. In wroth, she ordered that all flowers should be removed from the park, and it has remained barren ever since. Nice story, but the truth is probably more prosaic. 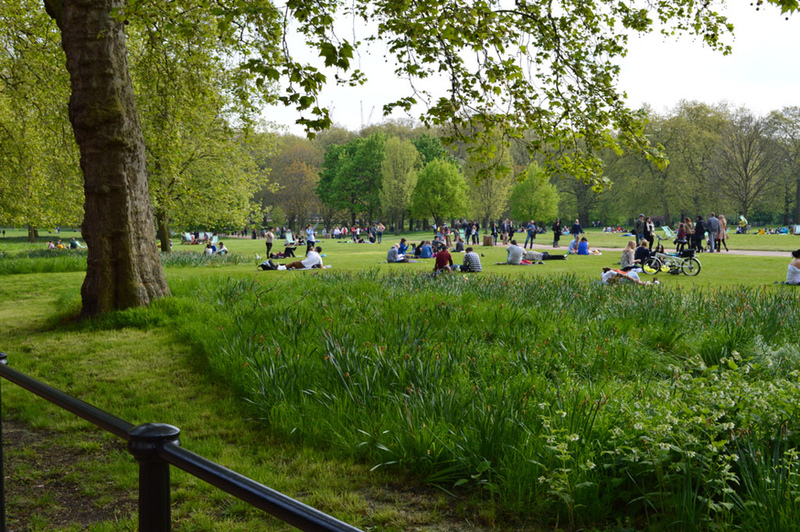 The open space was originally called Upper St James's Park, but changed to The Green Park in 1746. The name probably reflected its nature at the time — open meadow with few trees. Walter Thornbury, one of the more readable Victorian historians of London, says that the origin of Westminster's name are 'clear to the veriest child in such matters'. It denotes the minster (abbey) that is to the west of the main body of London (what we now call the City or the Square Mile). There may once have been an Eastminster, too, somewhere near Aldgate. The mainline station opened to the public in 1848, when the area was already known as Waterloo. The nearby bridge was under construction at the time of the battle (1815). It was to have been called Strand Bridge, but the military victory immediately prompted calls for a 'Bridge of Waterloo'. 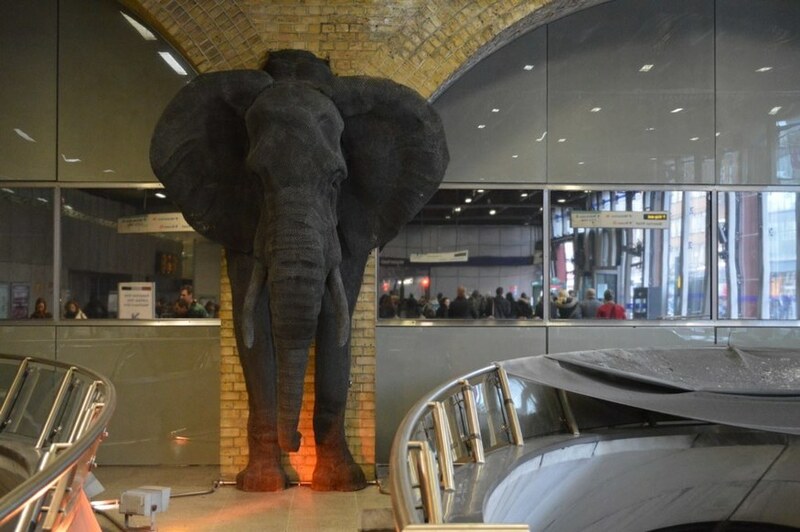 The span opened two years later as the slightly snappier Waterloo Bridge, begetting Waterloo Road, the name of the wider area and, eventually in 1898, a tube station. Southwark was settled by the Romans, chiefly near London Bridge and the Borough. Early records call it Suthriganaweorc or Suthringa geweorche, meaning ‘the defensive works of the men of the south’ (i.e. Surrey). The tube station is set away from this ancient kernel, and would have been marshland for most of its history. But as the name now applies to a borough that stretches as far as Crystal Palace, it is not inappropriate. No medals for guessing how this station next to London Bridge got its name. It does, however, bear the distinction of being the capital's oldest surviving central terminus, opened on 14 December 1836. 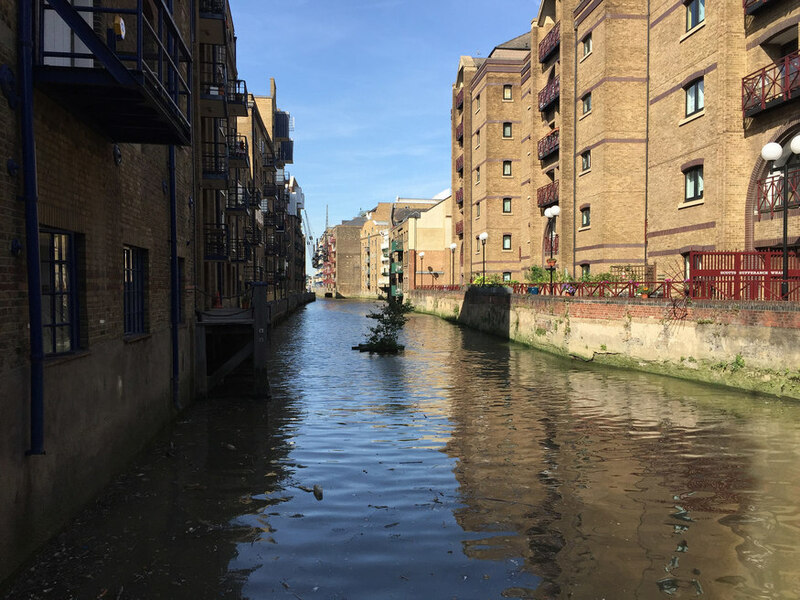 The River Neckinger still gives one part of Bermondsey the feel of an island. Another Old English place name that remembers a one-time land holder. Bermondsey is first recorded in Domesday Book (1086) and probably means the island or raised land of Beornmund. Within the living memory of many Londoners, the Rotherhithe peninsula was almost 50% underwater; an intricate spiral of commercial docks (see this map, for example). Most of the docks got filled in during the 1970s to make way for housing. One of the exceptions was Canada Dock, part of which remains. The dock got its name from the country of origin of most of its vessels. To think it all began with fruit. 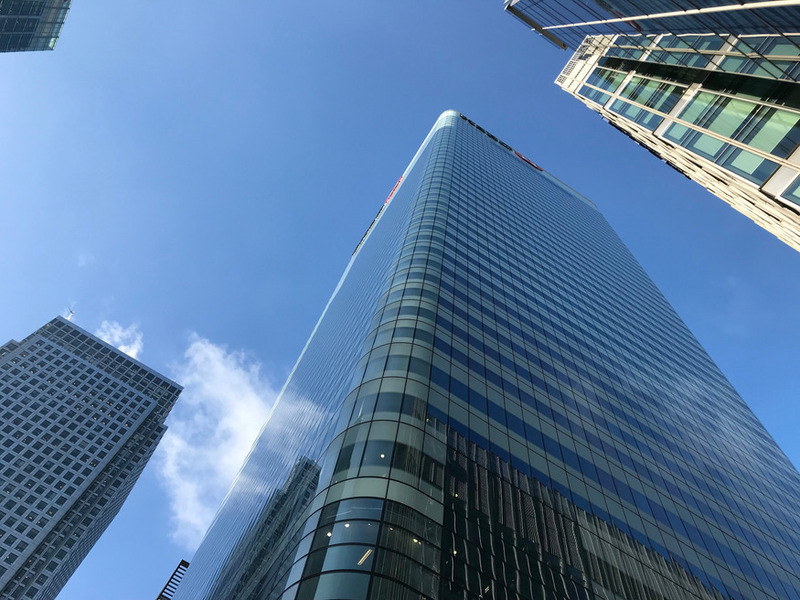 More maritime memories at Canary Wharf. Now a booming business district of countless skyscrapers, the wharf was until the 1980s a low-rise commercial dock. One area catered for fruit-laden ships from the Canary Islands, hence the name Canary Wharf. In a pleasing etymological loop, the Canary Islands got their name from the large dogs (canines) found there, while Canary Wharf just happens to lie on the Isle of Dogs. The place name Greenwich traces its name back to Anglo-Saxon times. It is first recorded as Gronewic in 908 CE, meaning a 'green harbour' or trading place. Some argue that the 'wic' ending could also imply a harbour for cattle. The modern tube station, built at the turn of the century for the Jubilee line extension, has adopted the Greenwich name despite being a couple of miles to the north-east and not particularly green. This east London neighbourhood is often said to be named after Charles John Canning, suppressor of the Indian Rebellion of 1857. The name Canning Town was in use nine years before the rebellion, however, making it possible that his prime-ministerial father George Canning is the real dedicatee. Yet another theory, quoted in Cyril Harris's book What's in a Name, puts the appellation down to a local firm called Canning. So, who knows? Once upon a time, there was only Hamme. It's first recorded about a century before the Norman conquest. Hamme or Ham is a common place name, meaning a dry area of land between rivers (here, the Lea, Thames and Roding). 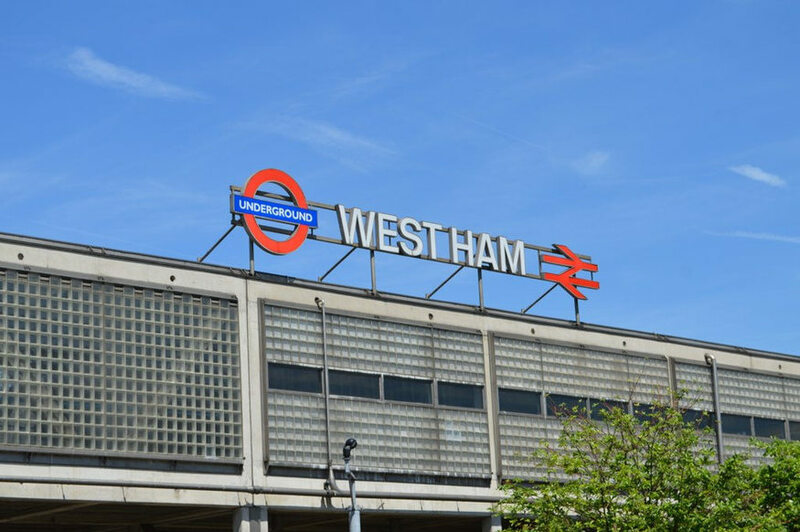 In the 12th century, the land was partitioned into East Ham and West Ham. The name comes from the point where the ancient road through Mile End intercepted the River Lea. This was originally a ford, and hence Stratford — the ford of the street — arose. A later bow-shaped bridge over the river gave us the additional name of Bow. See also Central, Northern, Victoria.